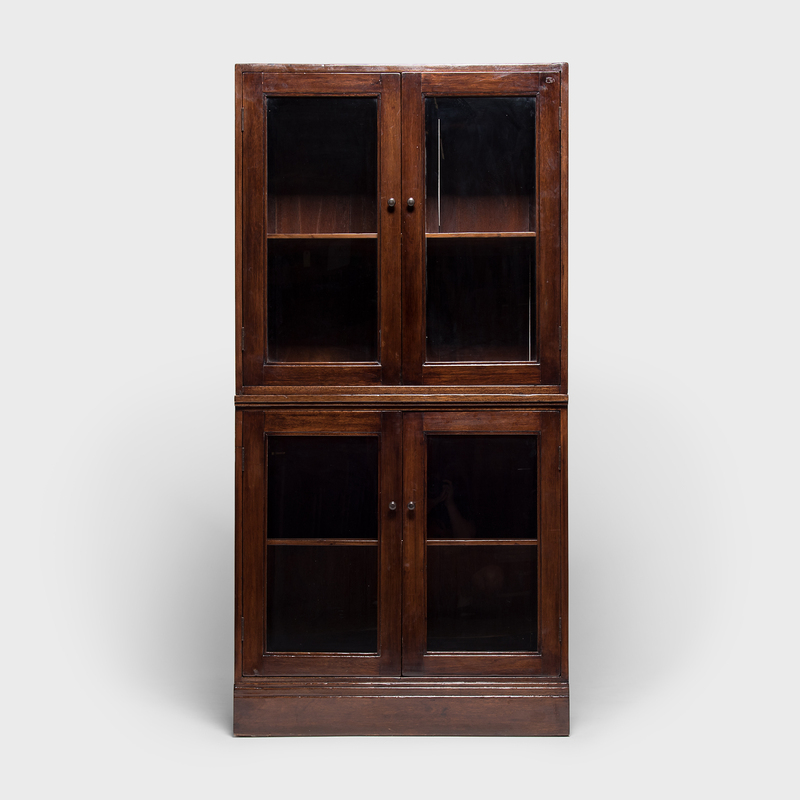 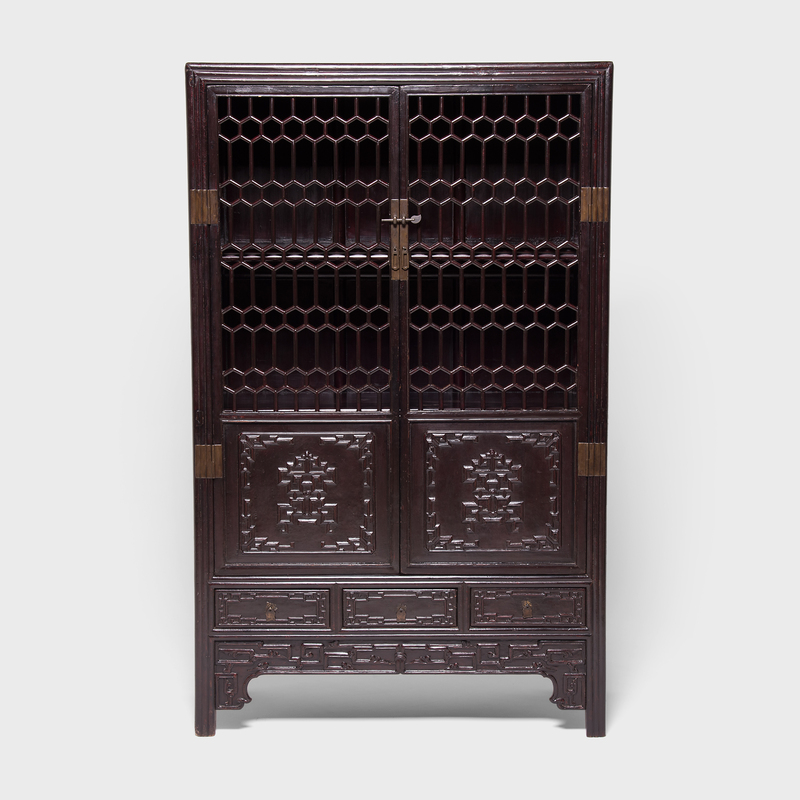 W: 35.25" D: 20.25" H: 72.25"
It's highly unusual to find a Qing-dynasty display cabinet with this level of intricacy in its hand-carved doors, rails, and side panels. 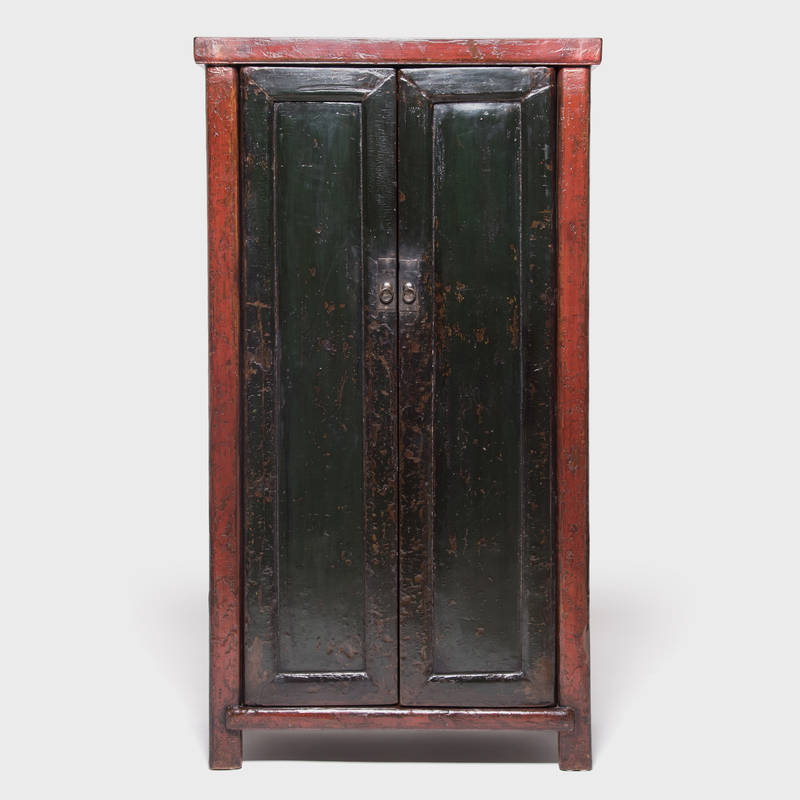 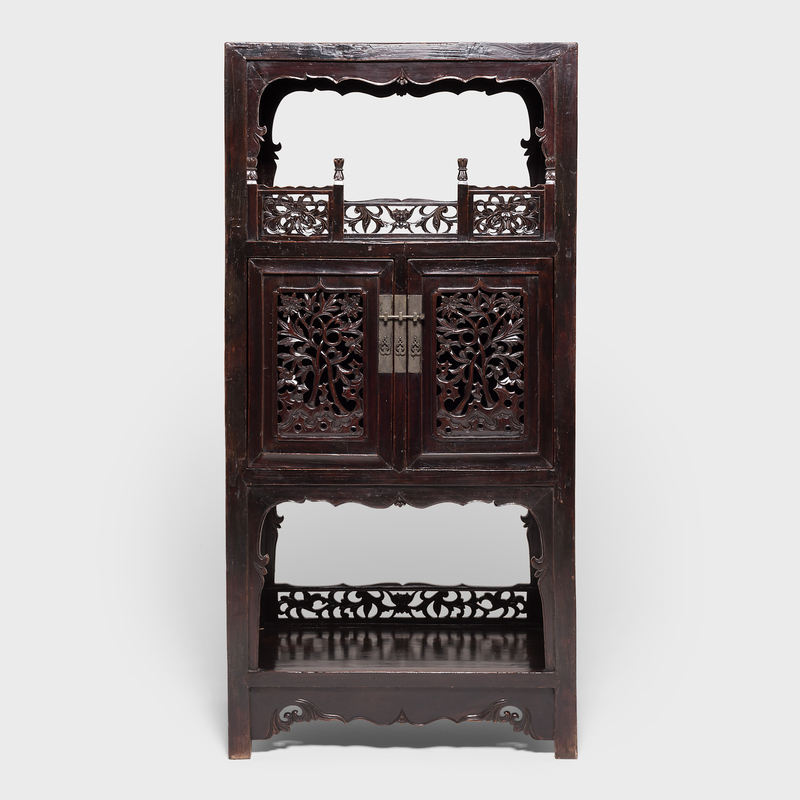 Crafted in China's Hebei province in the mid-19th century, this exquisite cedar cabinet is expertly carved with lattice-like floral and trailing vine motifs and cloaked in a layer of rich dark lacquer. 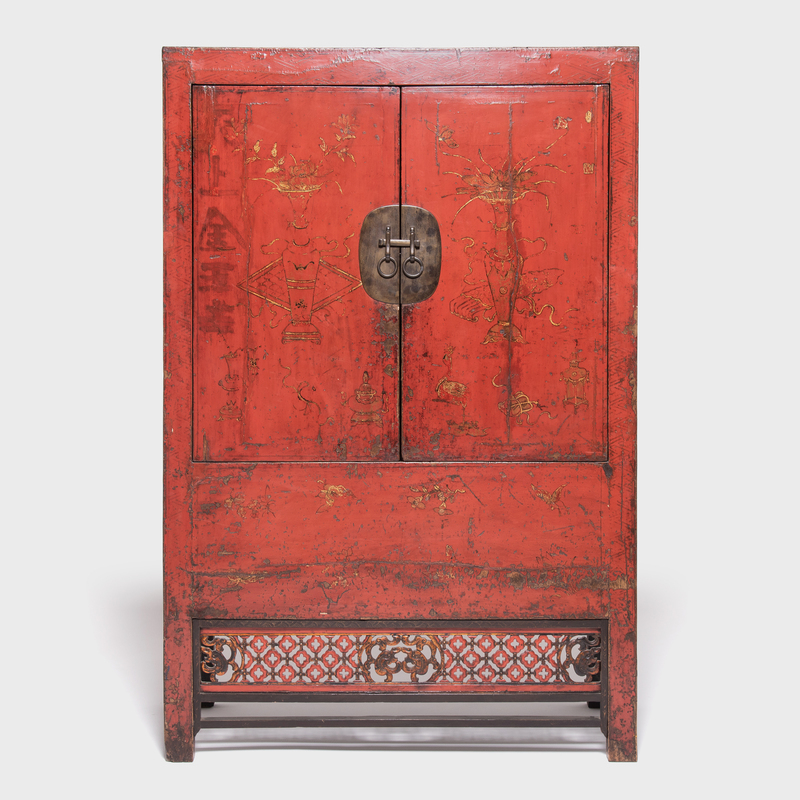 An ideal place to display jades, porcelain, and other esteemed scholars' objects, this cabinet likely stood as the centerpiece of a traditional scholars' studio, carefully selected as a source of beauty and creative inspiration.